Courage Campaign | Tell Gov. Brown: End fracking in CA NOW! Tell Gov. Brown: End fracking in CA NOW! 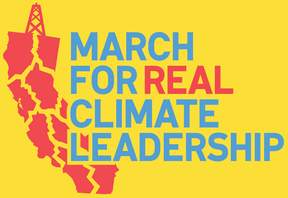 February 7th was the largest rally against fracking in California history -- The March for Real Climate Leadership -- with 8,000 courageous Californians from across the state. We need you to help us keep up the momentum by signing the petition demanding Governor Jerry Brown end fracking in California now! In December, New York’s Governor took an unprecedented step by completely outlawing fracking -- now it’s California’s turn. But while Gov. Brown laid out bold plans to address climate change in his recent inaugural address, he made ZERO mention of the extreme dangers that fracking has to the health and safety of our communities. THIS is a game-changing moment for the climate movement in California.